The kids have been wanting them for a while, and I was all, “Hey, it’s that gifty time coming up soon!” So I made them. These patterns aren’t mine! We went back and forth a bit. Spider-Man Minion, Pikachu, Burpy, Pikachu… This is what we ended up with. Of course, the day I was assembling it, my son was all, “I just want a Spider-Man Minion.” Well, tough. You’re getting Pikachu. Pattern found here. It’s a really good pattern, very straightforward and easy-to-follow, with clear pictures of how to put it all together. 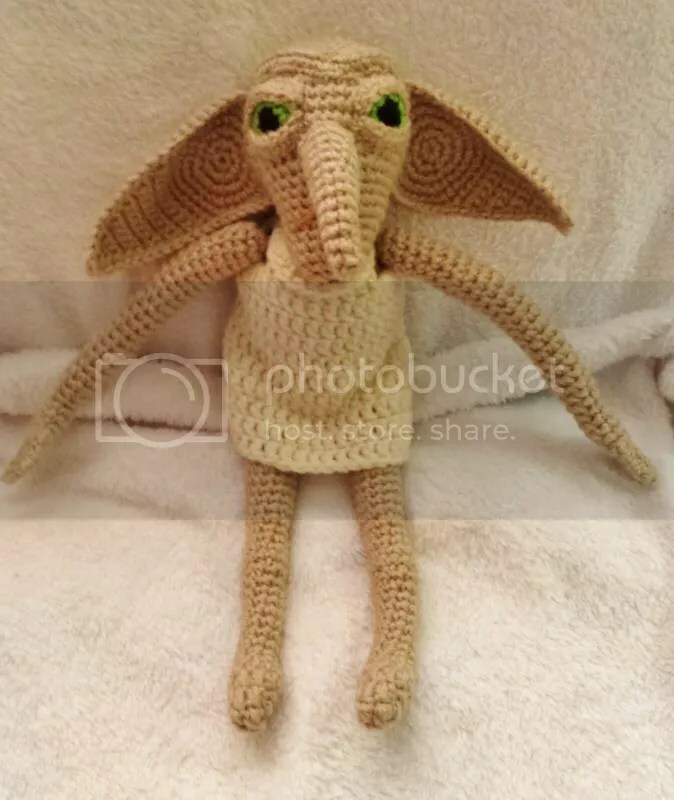 Kreacher! She loves Kreacher so much. I have Lego Harry Potter and she LOVES playing Kreacher. I don’t know why, but… Here he is! Pattern found here. 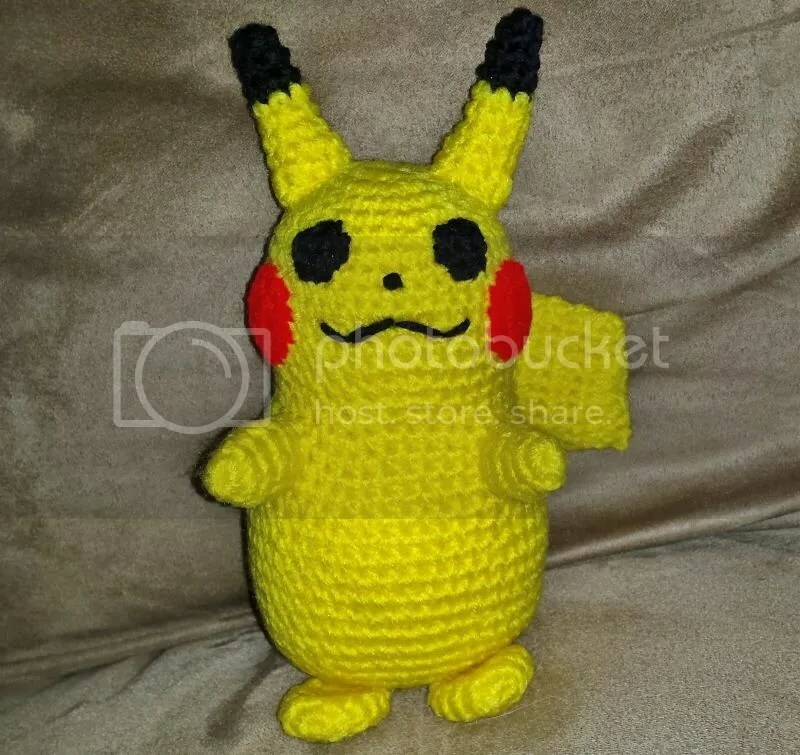 To sum up beforehand, I would recommend this pattern, but definitely not for someone new to amigurumi. At length: let me say first of all that I LOVE how he looks all put together. The shaping is excellent and the designer did a really good job designing him. Also, the first part of the pattern is very well-written. There are clear pictures on how to put everything together on the head, and the fingers are done interestingly, and again… Very clear. However. The last part of the pattern isn’t done as well. Stitch counts are missing, and there’s no clear pictures or instructions on how to assemble everything to the body. The angle for the head, especially, would have been good. What I did was I sewed the head on, sewed the shirt on, and then sewed the arms into the armholes so that I knew it would fit. I also made a gallbladder. 😀 There will be pics of that soon and a free pattern up on here. Next will be… Probably the Dorothy outfit for my other 18″ doll so she can stop being naked, but I also want to crochet a strand of Christmas lights to hang up in here. So that’ll probably come first.